Rock the world and make it your own! There may be times, on Money Funk, that I talk about upcoming projects, but have minimal to show for it. It’s always been an issue of mine because I get ultra excited about the start of projects. The reason they may not formulate to their full potential is because I research them to death, killjoy the issue and put it on the backburner for for another day. How do I change this behavior? Well, I would assume it is putting matter before talk. It doesn’t hurt to put your strong suits forward in the process, too. Meaning let your strengths define the successful YOU by just getting out there and putting your foot forward! Or as Flexo says, “try everything” (still one of my favorite posts). So today, that is just what I am going to do; not talk about future plans/endeavors, but just make progress/action putting one of my strong suits forward. Sure! My tech savvy nerd persona would love to show you how with my recent screen capture software I bought (quite a fun toy). So, I hope you enjoy my first screencaptured commentary tutorial to answer your question. Wrap Text Google Adsense from Money Funk on Vimeo. So what did ya thing? Did I say, “um” too many times (try, try again to cut back on that)? After taking the video (“take 100”. LOL. teasing. maybe. ;)), using Blueberry software first (didn’t like allowable upload file extensions), retake with Camtasia software (love), then I had to find a video stream service that didn’t distort the video (You Tube, Viddler, Vimeo). Needless to say, trying something new can take a while to make it work. I have a whole bag of frozen pineapple I need to start using and a container of plain yogurt in my fridge. What better way to start the morning than with a fresh smoothie! Ingredients: 1/2 c. orange juice, 1 c. frozen pineapple, 1/2 med. banana, 1 tsp. honey, few doll-ups of plain yogurt. Combine all ingredients except yogurt in blender; process until smooth. Add yogurt and process until blended. Pour in glass and Enjoy! To be enjoyed with fresh hulled strawberries and flaky croissants. Financial Samurai: Why Isn’t President Obama Considered White to The World? Well-Heeled Blog: Dream Apartment vs. Shorter Commute: What Would you Do? Derek Sisterhen (@DJSisterhen) hosts Past Due Radio – Talk show host, author, and financial coach helping you make the very most of your money and life. Budget Your Trip – one of the first trip planning tools to use real time data provided by travelers to estimate costs and breakdown expenses on a detailed geographic and categorical level. Travel expenses are entered by current travelers looking to categorize costs. This financial data is aggregated and searched by other travelers looking to find travel costs for specific locations. 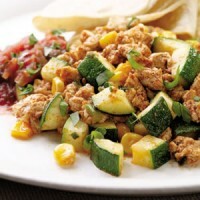 This entry was posted in Finances and tagged adsense tips, Brunch on 2010-04-17 by Christine. Our family went on their 1st big family vacation with success! And as a surprise to our kids. If you recall, I told you all that we were keeping it from the kids. And we did it! The night before we were washing clothes, charging electronics, and secretly packing our bags. Well, I needed the bag from our son’s closet and had to tell him something. So we used the San Francisco for Easter holiday excuse. He was excited, as he loves San Francisco and spending time with my aunt. We told him not to tell his sister. Low and behold they had no idea where we were going. The next morning, we woke my daughter up and told her, “get up, get ready, we’re going on an aeroplane!”. That was easy. She was up and ready thinking we were going to San Francisco, too. Hee-hee. Got to the airport, checking in our bags and the ticket lady says, “Lucky, you guys are going to Maui!”. Should have seen the kids faces drop. Sheer silence. Then smiles crept on their faces and we were off for fun in the sun. Made for a great April Fool’s prank. Thank you for all your suggestions in Traveling with Teens/Tweens. They worked out great! We pulled off a successful trip using your suggestions. The hotel room had free WiFi. So we let the kids bring their computers. This was perfect for down time. We also gave the kids $75 each to spend as they liked. For my son, this worked out great; gave him his independence. My daughter… well she went a bit stir crazy with shopping madness. That’s all she wanted to do. So we went into Lahaina for dinner and shopping. The kids were so responsible and got along great with each other. Was amazing. I think we need to go on vacation more often! They were able to run around the resort without us and do their own thing. They made friends. Went to a Laua. Had a great time. We booked the Rainforest/Waterfall hike with Maui Eco-Adventures. It was a continental breakfast, lunch, transportation and guided tour on a ‘private property’ (at $100 per person). Now I quote because this ‘private property’ because it is accessible to all. It’s called The Swinging Bridges of Waihe’e Valley – it is $6 per person and a moderately easy hike for any person (did you see that? $6 per person). Okay, so maybe we paid a tad alot for the hike, but our guide Eric was very knowledgeable about Maui and its eco system. I was thoroughly impressed. If you’ve never been to Maui then I say its worth the money for everything included. Unfortunately for us, too much rainfall caused the pass to be closed (due to flooding). We only made it 1/2 way up the trail. 🙁 However, we did cross the two swinging bridges and see the waterfalls from a distance (but I was really looking forward to swimming at the waterfalls). Increased my gross salary deductions to my 403(b) by investing my ‘raise wages’ received early this year. I put up a Money Funk bookstore with all the great personal finance titles! Updated my 404 error page. Kind of cute. This morning’s breakfast comes from Sugarcrafter. I have been promising my little one a big plate of french toast lathered in butter and syrup. Served with a side of sausage and fresh squeezed OJ. Money Crashers: File Taxes in 2010 – Win a Free Apple iPad! *Hurry, contest ends April 15th! Eventual Millionaire: What Type of Spender are You? Redeeming Riches: IRA Withdrawal Rules: When Can you Withdrawal Your IRA? Simple Life in France: Take that, French driving Test! This entry was posted in Finances and tagged Brunch, Maui, Waihe'e Valley on 2010-04-11 by Christine.